RUAG Space, with the support of Altair ProductDesign, has built a redesigned, optimised antenna support for an Earth observation satellite, to be produced using industrial additive manufacturing, or 3D printing. The objective was to create an aluminium component that would be significantly stiffer while at the same time lighter, taking full advantage of the design freedom afforded by 3D printing. To redesign and optimise the antenna, engineers used Altair HyperWorks solver OptiStruct, guaranteeing a load-sufficient material distribution. For the design, engineers used solidThinking Evolve. Design freeze was reached after only four weeks. The component was then manufactured with a 3D printer, with no need of further design adjustments. 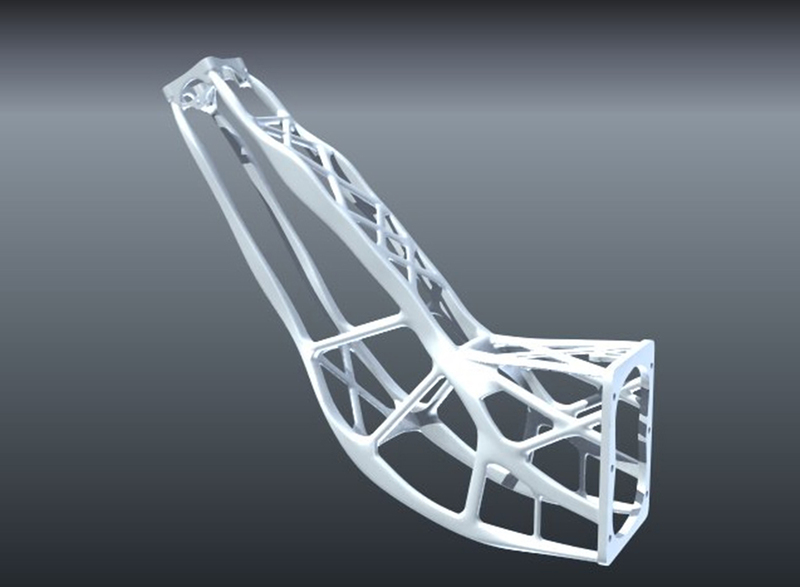 Using topology optimisation in conjunction with additive manufacturing, the team achieved elite weight and stiffness performance characteristics not possible using conventional analysis and manufacturing techniques. EOS contributed its additive manufacturing expertise, handling the manufacturing of the aluminium components. Weight reduction is a decisive factor in the space industry since the lighter a satellite is, the less it costs to launch. 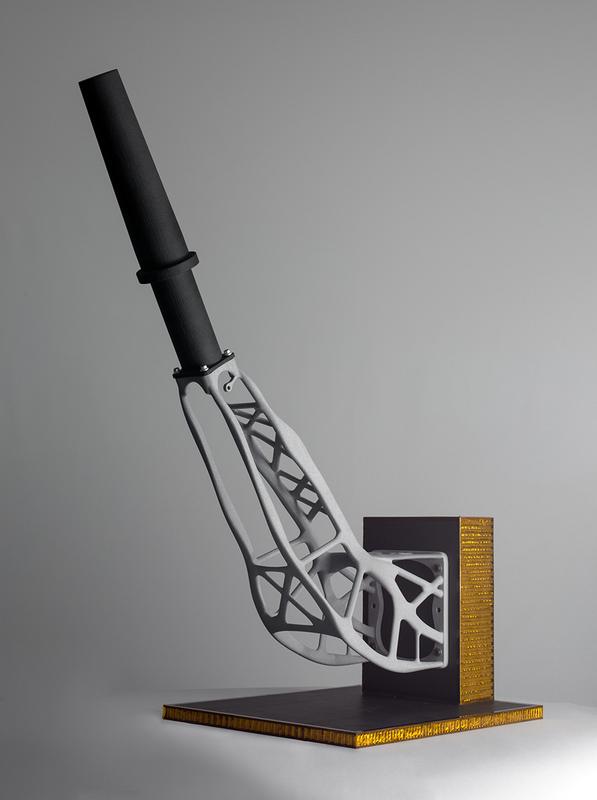 Some 40 centimetres long, the antenna support is one of the longest metal components ever produced using the powder bed manufacturing method. To check that the new support is ready for use in space, it is currently undergoing a battery of intensive qualification tests that are scheduled to be completed by the end of the year.